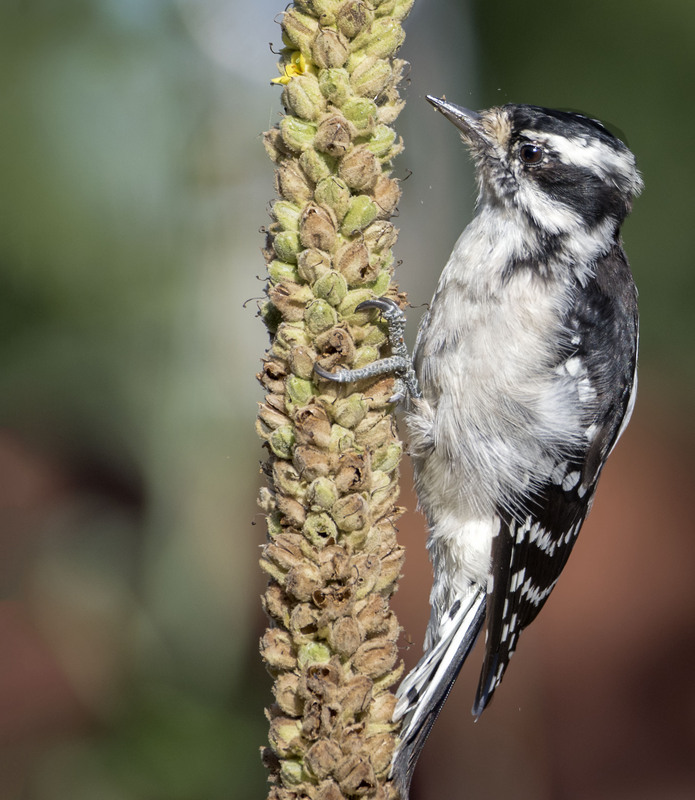 A female Downey Head Woodpecker found the Mullen plant to her liking this morning as she spent quite a bit of time hunting and then pecking away for a meal. 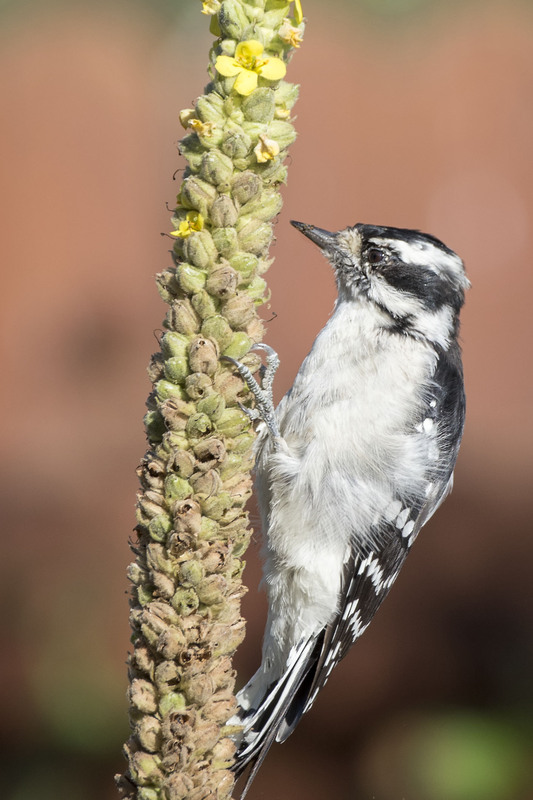 She inspected the plant then with target in sight and eyes closed tight she pecked away like only a woodpecker can peck. Then back again for another round on the beautiful Mullen plant. She looks so sweet with her eyes closed. Hi Ellie, I think she was trying to keep the debris out of her eyes as it was flying all around when she pecked at the Mullen plant. Nice photo-story, Mike. She’s probably found seeds AND bugs – yum! Seed and bugs…a wonderful two course meal. 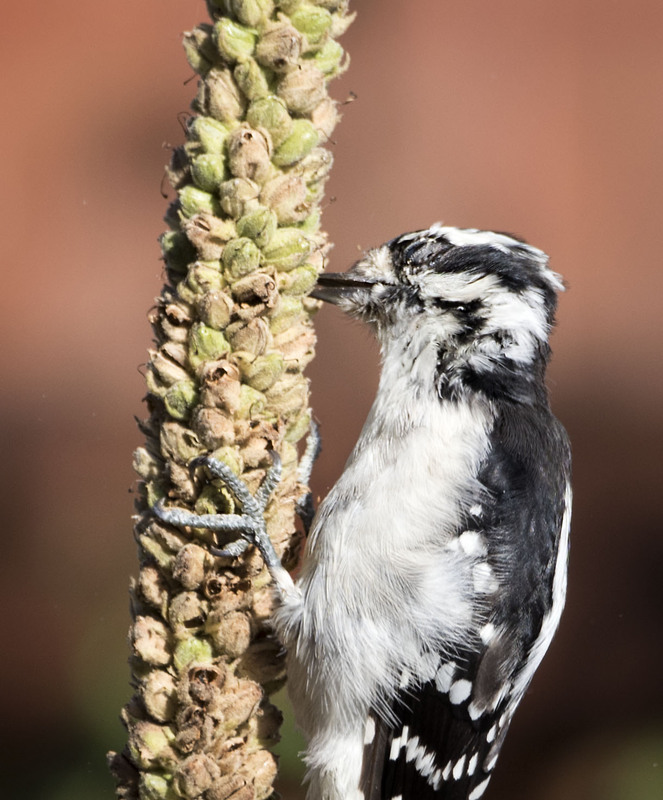 How the woodpeckers avoid making jelly out of their brains is amazing. Hi jim, they are well adapted and have special skulls designed for the job. 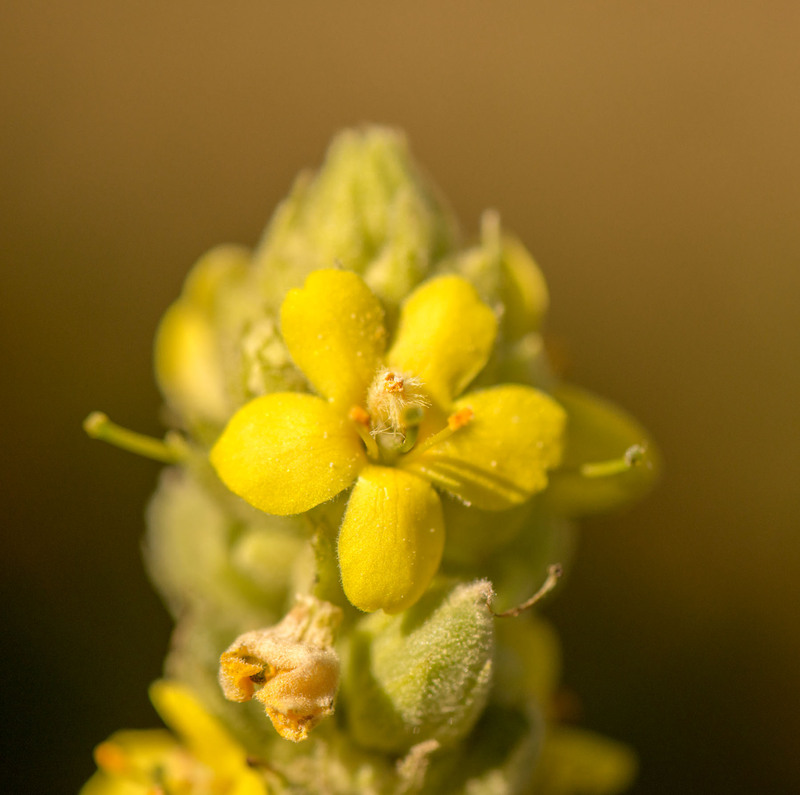 Nice photos of the woodpecker and mullein! Thanks Tanja, Its fun to watch them go to work finding a meal. Hi Starlisa, we like Mullen even though it is invasive in some places but where it belongs it is a beautiful plant.